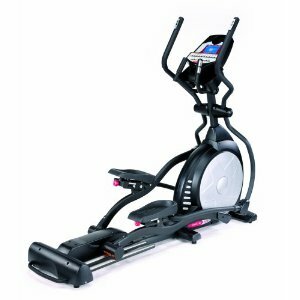 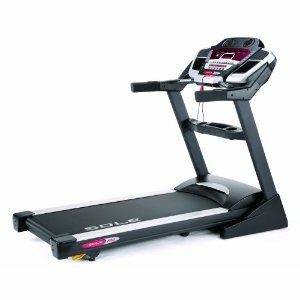 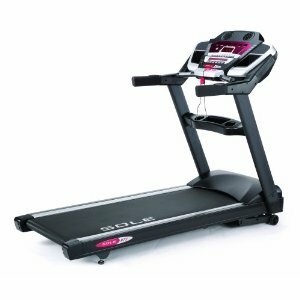 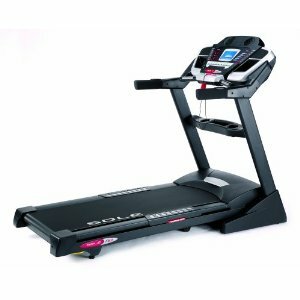 The Sole S77 treadmill has a user-friendly console with a 6-window LED display that includes a message board for clear instruction and feedback. 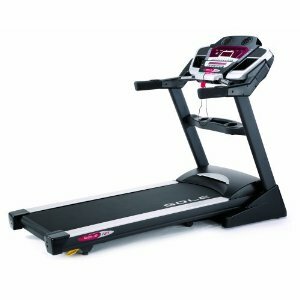 The information displayed at all times includes speed, incline, time, distance traveled, calories, pulse and pace. 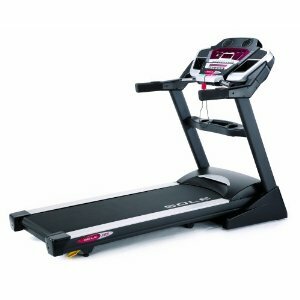 There is also a 1/4-mile track feature and a convenient speed/elevation adjustment in the handles.